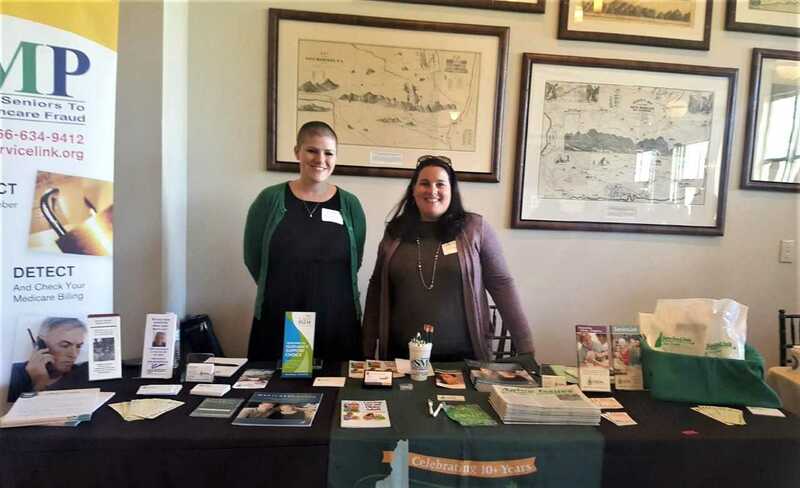 On Monday, May 14, staff from the ServiceLink office in Berlin attended the 27th Annual North Country Women’s Health Conference held at the Mt. Washington Hotel. The conference was organized by Littleton Regional Healthcare in collaboration with the North Country Health Consortium. The conference featured inspirational keynote speaker, Kelly Swanson, Honorable John T. Broderick, Jr., who spoke on changing the culture of mental illness along with several specialists in the field of women’s health. At the conference ServiceLink staff Shelley Corrigan and Kirstan Knowlton spent the day educating attendees about the services offered at the center through one on one interactions and brochures and handouts. The Coös County ServiceLink Resource Center is located at 610 Sullivan St. in Berlin and open from 8 a.m. to 4 p.m. Monday through Friday. For more information or to schedule an appointment at the Berlin office, call (603) 752-6407.